Artificial mixed succulents would look very good while placed around the house. Live flowers will need maintenance not to wither, and more so, they are prone to bringing infections and insects around the house. When one uses modern artificial succulents around the house, there is a sense of nature, calmness, and tranquility. Our succulents are purchased at a very affordable rate, prices that are suitable for all regardless of their financial flows. We do know that many people will come looking for affordable artificial succulents, however, it would also be very advantageous to liaise with our professional designers, in case you require quality and desirable designing services. 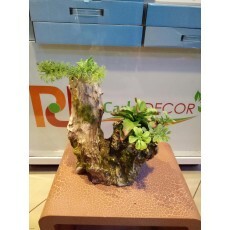 Our interior decoration items come in a wide range, therefore besides artificial succulents, be sure that any other item that you need shall be available with us. Whenever you are looking for quality artificial succulents at affordable prices, feel free to visit our shop.